2″ long t-pins. 100 in the box, 9/16 head, made of nickle. 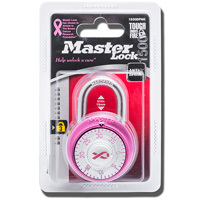 Breast Cancer Awareness combination lock will keep all of our items safe! Anti-shim, ¾″ X 1&frac78;″. Pack of 12, medium binder clips. Clips measure 1¼″ by &frac58;″. Pack of 12, mini binder clips. Clips measure ½″ by ¼″. Pack of 12, small binder clips. Clips measure ¾″ by &frac516;″. 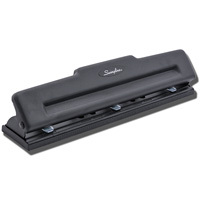 Manual 2 or 3-hole punching performance. 10 sheet paper punch capacity; punches &frac923;″ holes. Semi-adjustable punch heads with 7 stops offers flexible hole placement. Box of 5,000 standard staples. 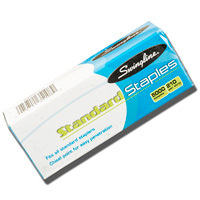 210 per strip, staples fit standard staplers, chisel point for easy penetration.